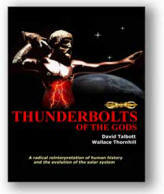 Laboratory arcing experiments continue to support a claim made by proponents of the “Electric Universe”—that the primary features observed on solid bodies in the solar system were produced by electric discharge. 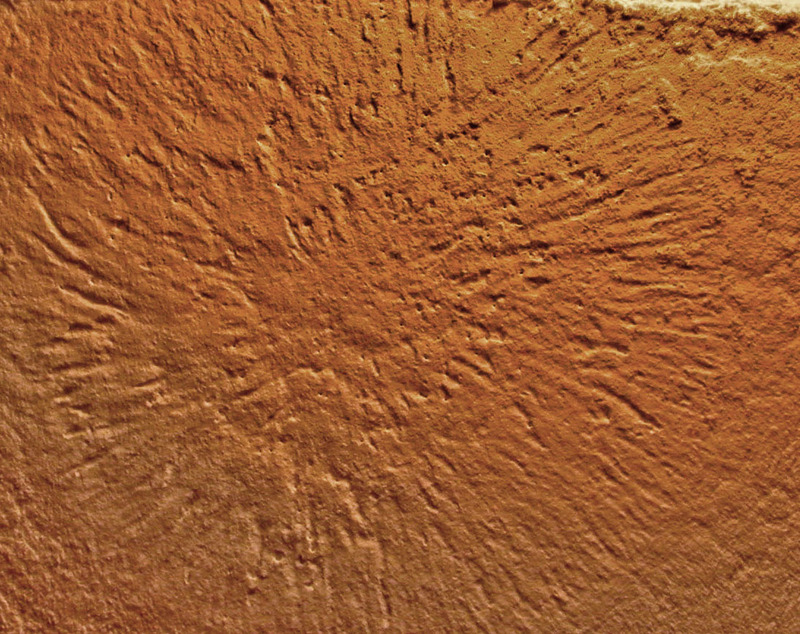 No, the surface pictured above is not from Mars—or from any other planet or moon. It is one of many experimental confirmations of a point we have made more than once in these pages. Electric discharge can create complexes of craters, crater chains, gouges, trenches, and undulating channels --patterns that are common to planetary surfaces. They show distinctive differences from features produced by any single known geologic mechanism. In the electrical experiment depicted here, a single agency created features that require planetary scientists to speculate about many different—even mutually exclusive—agencies. Plasma scientist C. J. Ransom conducted this experiment at Vemasat Laboratories in Fort Worth, Texas. The test sample was a layer of magnesium silicate 5 mm thick. It was spread on a metal plate that served also as the cathode. The anode was a copper probe, which was placed 14 mm above the sample. 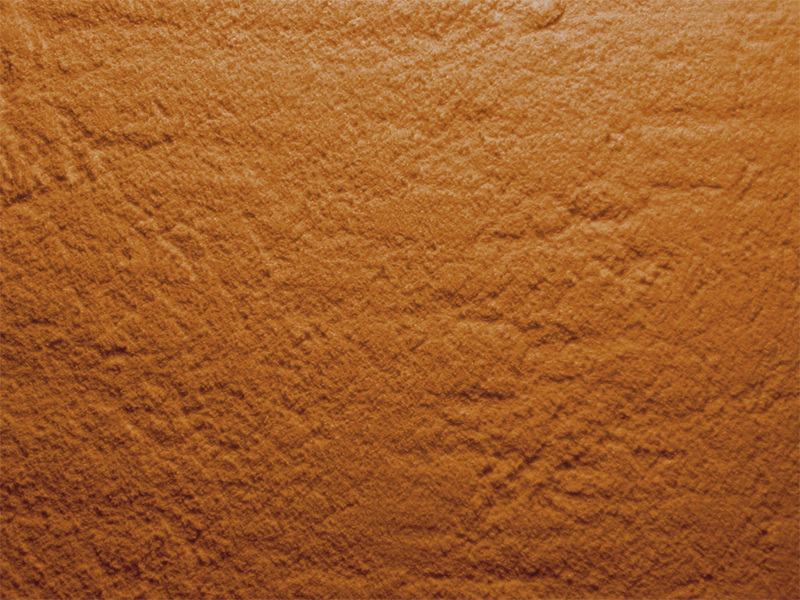 For a comparison examine the picture of the Tyrrhena region of Mars. It is some 45 kilometers across and less than 2 kilometers in elevation at its highest point. It shows the same radiating pattern of grooves as does the experimental material. 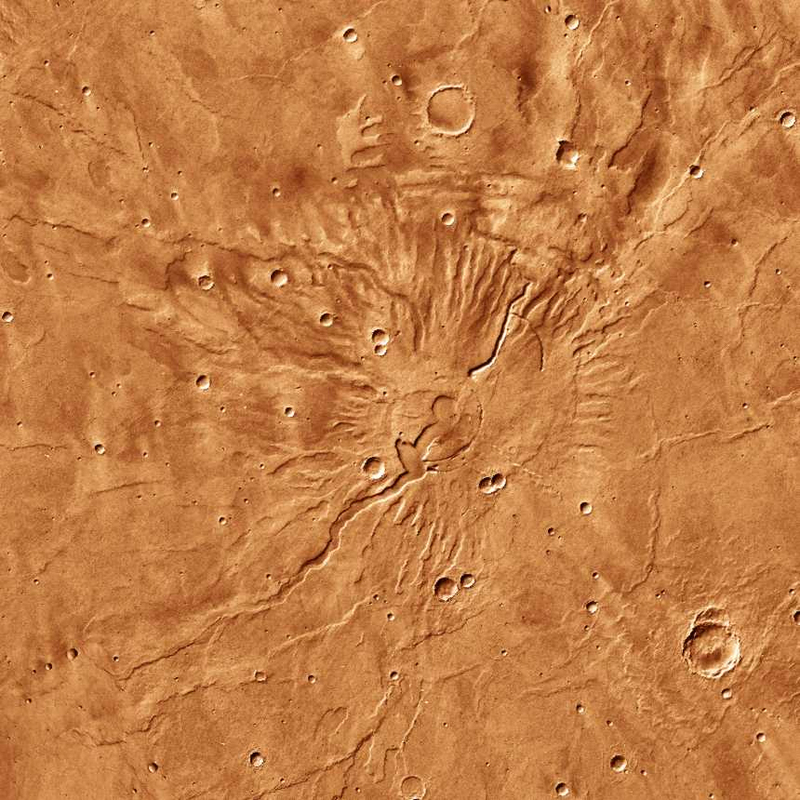 Planetary scientists call this feature a “volcano”. They consider the radial gouges to be caused by “erosion”, but the nature of this erosion is far from clear to them. A common speculation is that the surface material is easily erodible pyroclastic ash. Close observation, however, shows that the channels were not caused by flowing liquid. They are flat-floored depressions—either scooped out or collapsed. 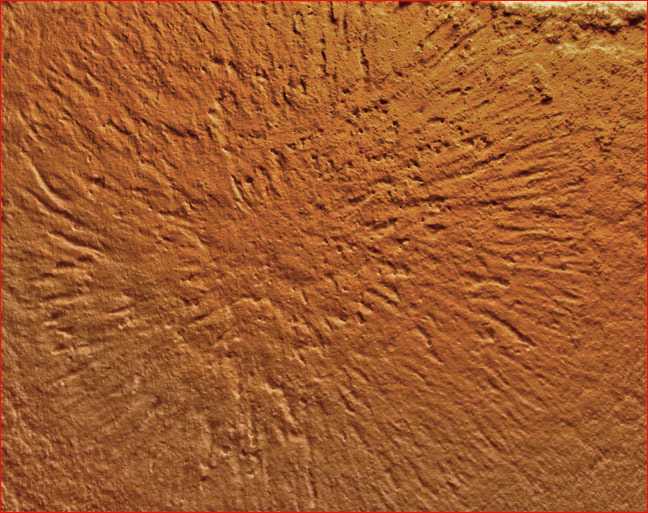 Similar shallow channels elsewhere on Mars are sometimes attributed to wind erosion. That explanation is excluded in this case because of the channels’ radial arrangement. Surface etching by an electrical wind, however, accounts for more than the radial channels. It also accounts for the extensive flat valley floors that have no apparent connection to flowing liquid of any kind. It connects them to electrical discharge machining and to electrical etching of the whole region.